Looking for fun Christmas crafts? Try your hand at one of these fun Christmas Crafts this holiday! Christmas is just around the corner, and for crafty people, that means it’s time create some really fun Christmas crafts! 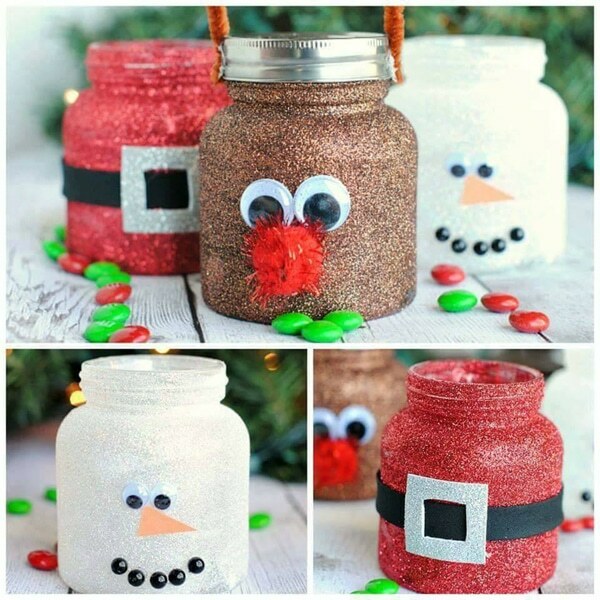 Get your glitter and glue gun ready for these 17 Epic Christmas Craft Ideas! We’ve got a wide range of awesome Christmas projects that you can try whether you’re looking for easy holiday crafts or more challenging ones. We’re sure these ideas will get you into the Christmas crafting spirit! Christmas is the perfect time to craft up some festive holiday decor for your home or work on some simple Christmas crafts as gifts for family or friends. Take some candy canes and make a fun wreath for your front door or make DIY candy sleigh gifts for your child’s classmates! There are so many fun and unique ideas here for everyone and every craft level! You can even turn your crafting into a “Holiday Craftstravaganza” and invite family and friends over for a full day of food, crafts and cocktails! Doesn’t that sound like fun?! Christmas Craft Idea #1: Looking for fun, easy Christmas crafts that your kids can make? This DIY Snowman Shutter Decoration is great if you’re looking for easy Christmas crafts for kids or adults! They will surely have a lot of fun coming up with the most creative snowman. 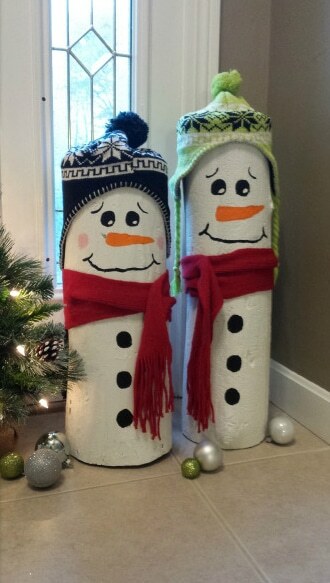 Christmas Craft Idea #2: What an awesome idea! These DIY Hot Chocolate Ornaments are super cute Christmas crafts that can double as an ornament and a gift! Use them to decorate your tree and then give them away to friends and family for a hot cup of cocoa after your Christmas dinner. 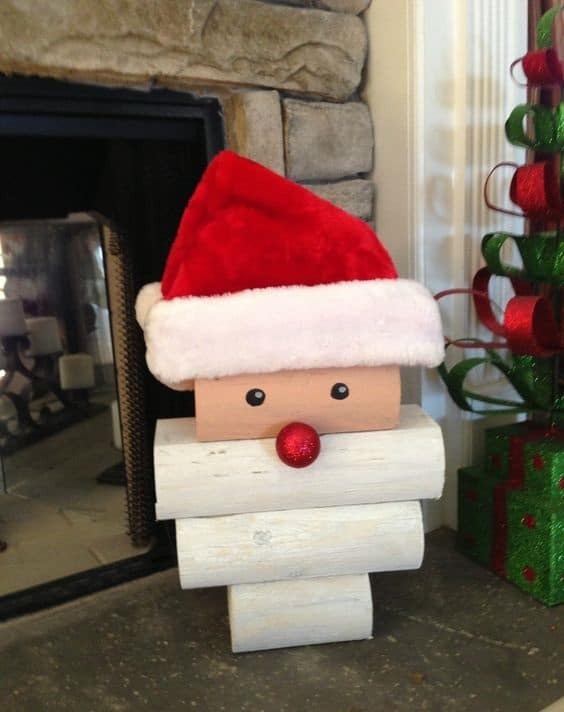 Christmas Craft Idea #3: If you want super simple Christmas crafts to make, this Wood Log Santa Decoration is perfect. You don’t need to be super crafty to make this cute Santa decoration. With some logs, paint, and a shiny, red ball ornament, you can have this adorable wood log Santa for your own. Don’t forget the Santa hat! Christmas Craft Idea #4: Here’s another fun project for the little ones! 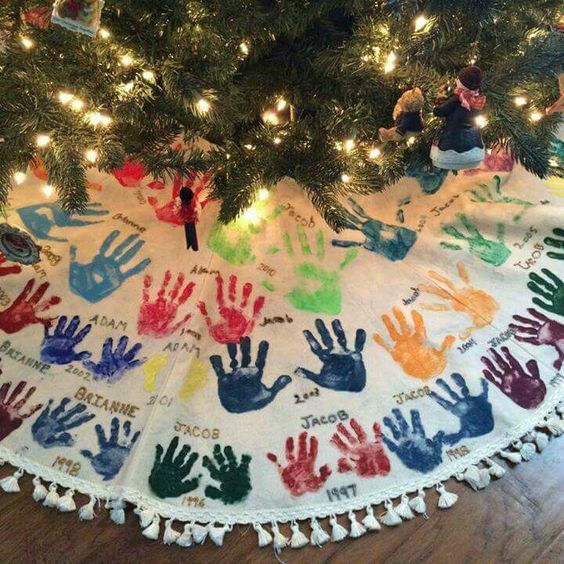 This Handprint Tree Skirt is one of the coolest Christmas craft ideas for kids we’ve seen. Your kids will have a blast dipping their hands in various colors and personalizing your Christmas tree skirt. This would make the perfect keepsake for grandma too! Christmas Craft Idea #5: Logs just make for the best quick Christmas crafts, don’t they? If you want something that’s quick and easy to whip up, these DIY Wooden Log Snowmen Decorations are for you. 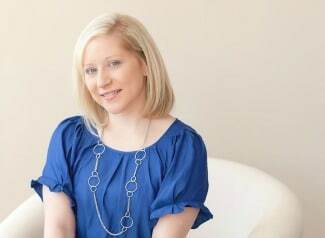 You can just raid your closet for the knit scarves and hats to add too! 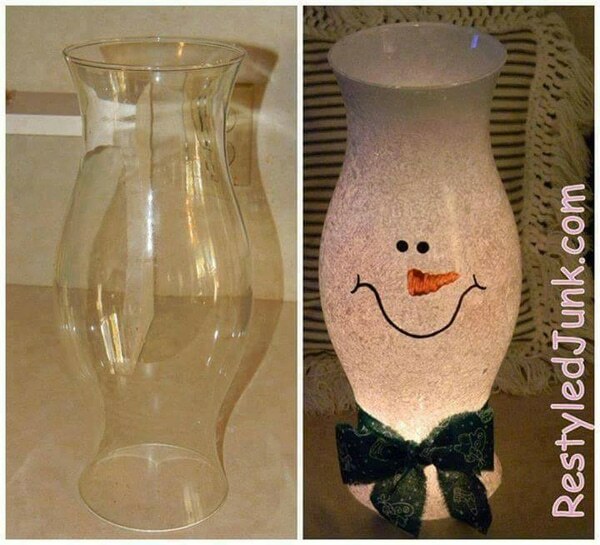 Christmas Craft Idea #6: This DIY Snowman Hurricane Shade would look great on your side table while you’re relaxing in a chair holding a warm cup of hot chocolate. It’s definitely one of the cozier Christmas craft projects here! Christmas Craft Idea #7: Christmas just isn’t complete without a steaming cup of cocoa, so here’s another cute idea for a DIY hot chocolate mix. 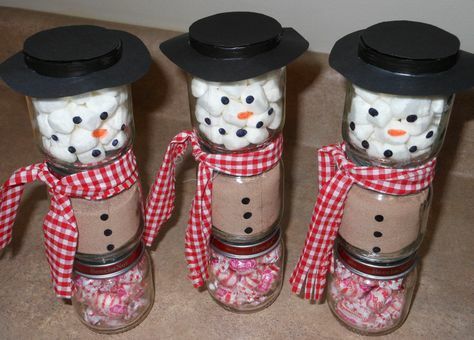 These Hot Cocoa Snowman Jars will do when you’re looking for Christmas craft ideas for gifts too! 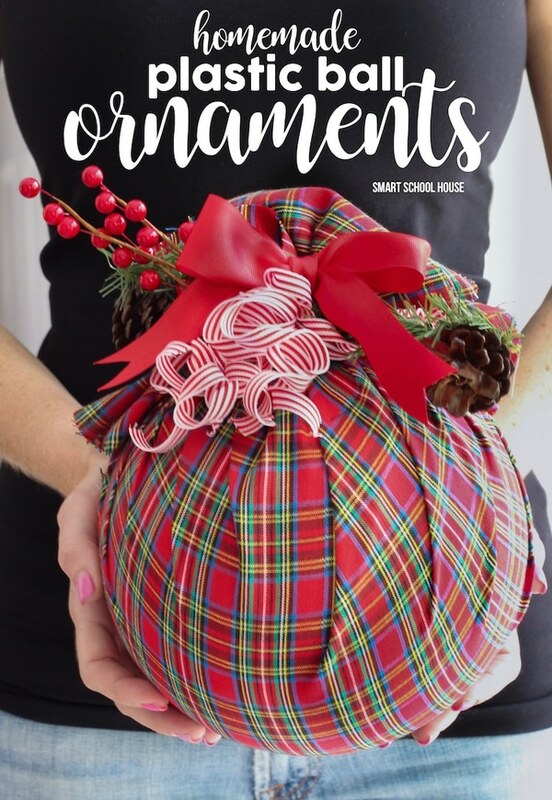 Christmas Craft Idea #8: Do you like those giant Christmas ball ornaments you see in shops? Well you can definitely recreate them at home! Check out these Homemade Plastic Ball Ornaments! These are great holiday crafts for adults and decorating them will definitely be a fun test of your creativity. 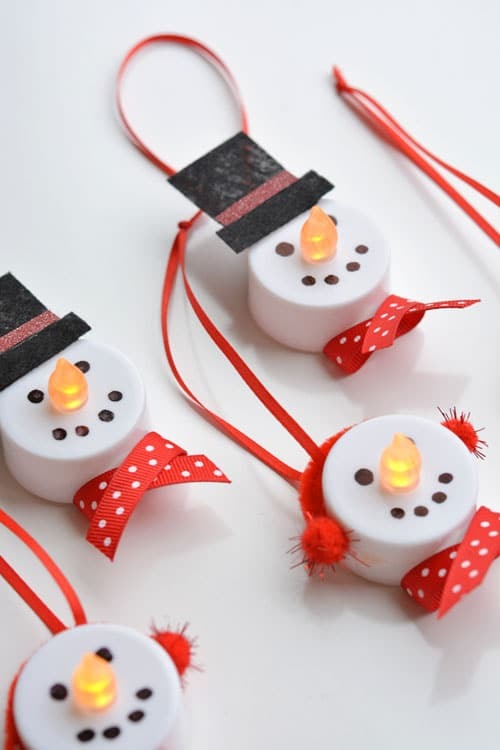 Christmas Craft Idea #9: How adorable are these Tealight Snowman Ornaments? These dainty ornaments would look amazing on your tree, and they are definitely easy Christmas crafts for adults too. All you need are some battery-operated tealight candles and some fabric to decorate your little snowmen, and voila! You’ve got yourself some unique tea light decorations for Christmas! 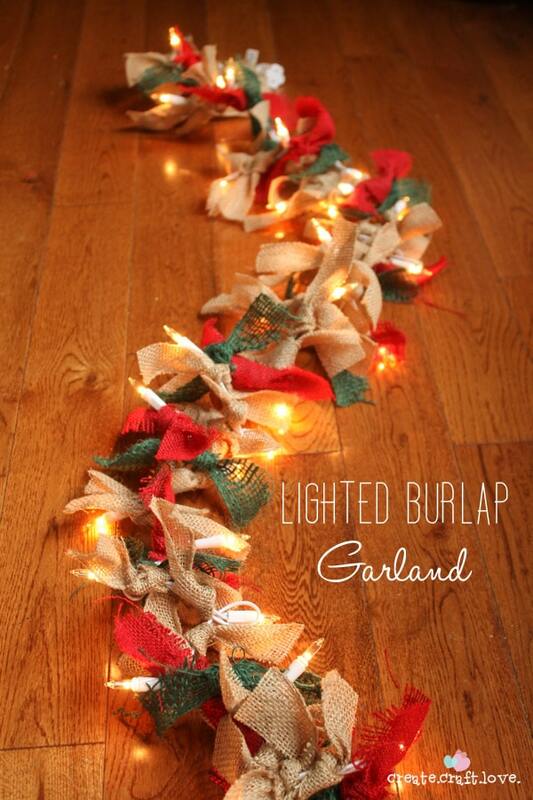 Christmas Craft Idea #10: If you want something rustic, you’re going to love this DIY Lighted Burlap Garland. This would look great on your front door or hanging above your fireplace! Christmas Craft Idea #11: These have got to be the cutest reindeer ornaments we’ve seen, and they’re easy Christmas crafts to make too! These Cork Reindeer Craft ornaments are perfect for you if you have a lot of wine corks lying around. 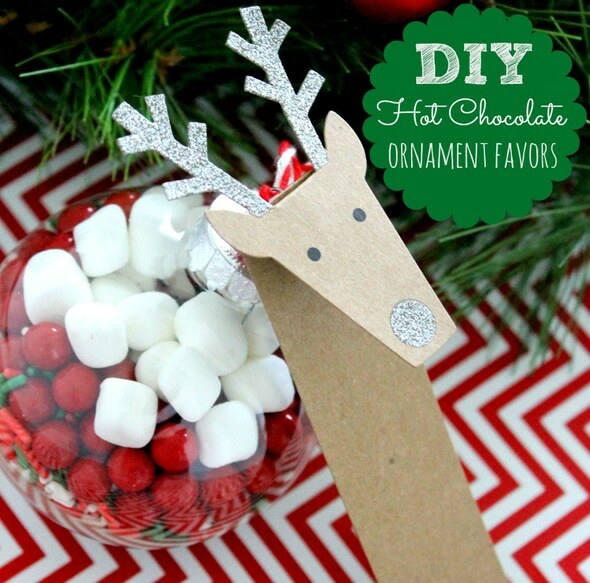 With all the ways to decorate each reindeer, this will surely be one of your favorite Christmas projects to make. Christmas Craft Idea #12: Sweet and simple! 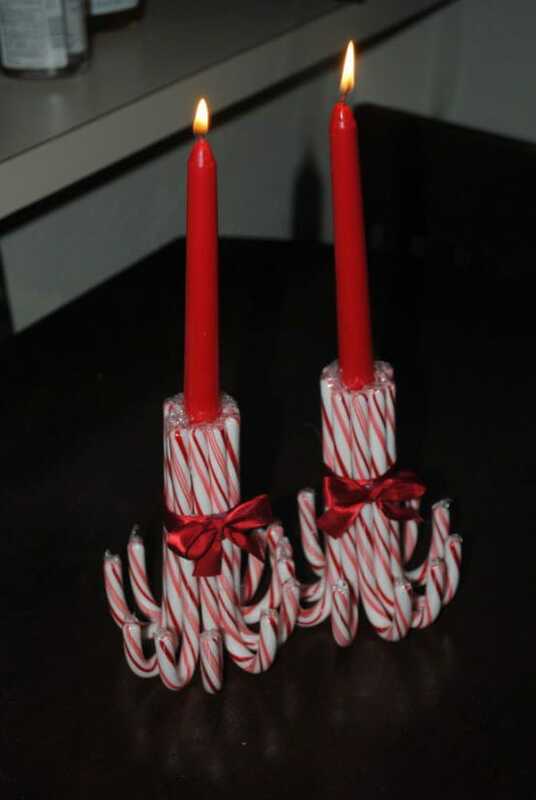 This Candy Cane Candle Holder is another great example of easy but eye catching crafts to make for Christmas. What’s great about this is that it’s a snack and decoration in one! Not a thing to waste! Christmas Craft Idea #13: Looking for Christmas crafts for adults that are a little more challenging? 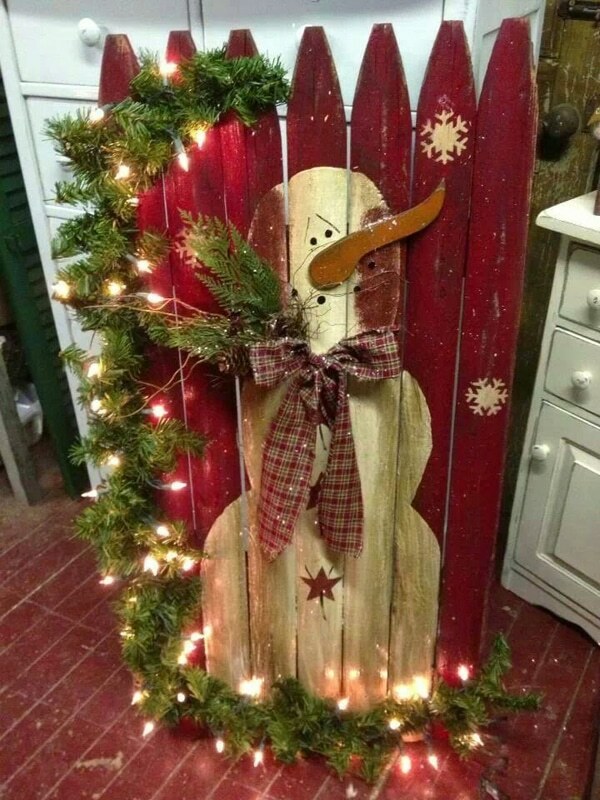 How about this DIY Wood Snowman Decoration? You can challenge your painting chops with this Christmas project. Christmas Craft Idea #14: Wow! Another creative use of a holiday favorite! 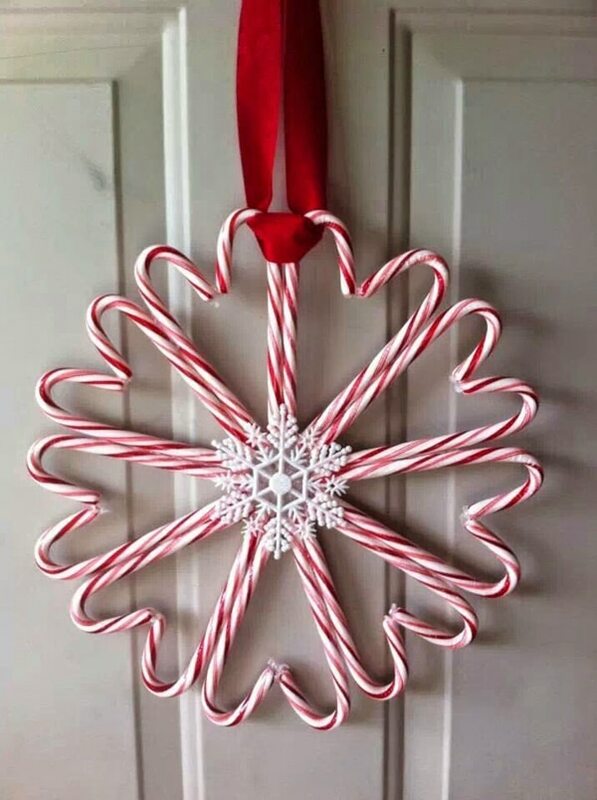 This Candy Cane Wreath is great if you need easy Christmas craft ideas that will look great on your door! Just make sure your sweet-toothed kids don’t swipe them before Christmas! 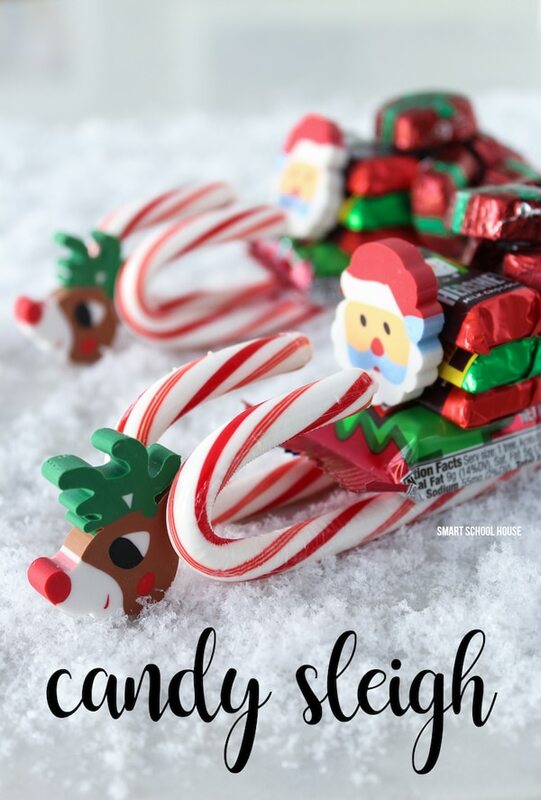 Christmas Craft Idea #15: How adorable are these miniature candy sleighs with their tiny Santas and reindeers? This DIY Candy Sleigh will surely look amazing on your Christmas dinner table or as stocking stuffers. The kids will love them too! Have your kids pass them out for their classmates during the holiday too! Christmas Craft Idea #16: Another great ornament-slash-gift idea! These DIY Christmas Treat Jars are perfect for storing treats or gifts you plan on giving out to your friends and family. Very festive! Christmas Craft Idea #17: How elegant are these DIY Christmas Cookie Containers? If you plan on giving out some Christmas cookies, you definitely have to make these! Can you believe that these snazzy cookie containers were once simple Pringle cans? 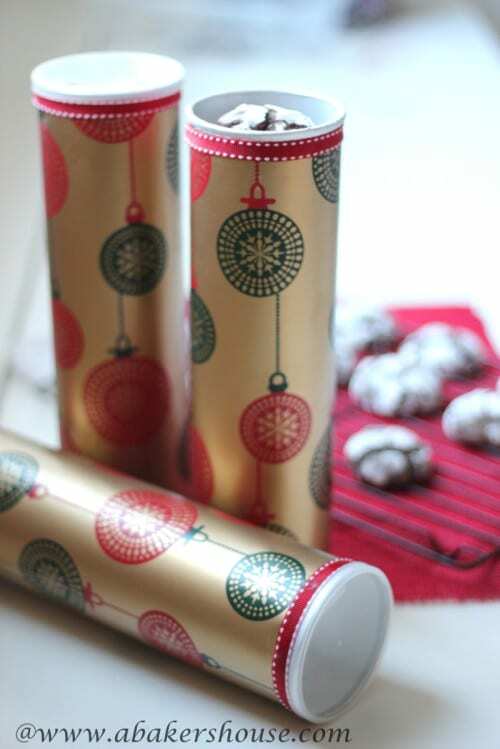 Get yourself some festive wrapping paper and start making these amazing cookie containers! Whew! That was fun! We hope you found some ideas for Christmas crafts to make at home that you want to try. What are your favorite crafts from the ones above? Share your thoughts in comments below! For more Christmas party ideas, follow us on Instagram @prettymyparty and Pinterest and join us in our private Facebook group. The banner at the bottom is so annoying. There needs to be a way to hide it so your entire page can be seen/displayed. There is a way to x out of it on the top right hand corner. 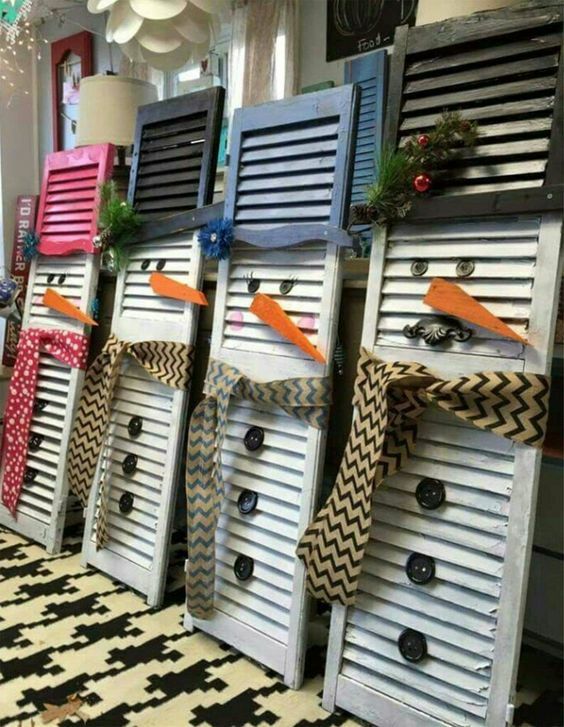 Love the snowmen shutters. Wish I could post that photo to Facebook. Love them all but the first snowman is my favorite! Thanks for sharing..
Sure can! Thanks for asking! Do you have a step by step to make the cork reindeer with ribbon? Just like to comment on the candy cane crafts. LOVE LOVE them, most especially the wreath . Do you have a tutorial on HOW TO? It looks very easy to do. Its just candy canes and a hot glue gun. The ornament is in the center for looks! I really like # 11. For the sparkle Antlers what did you use? I am loving these fun ideas to keep my kids busy and in a festive spirit. Thank you for sharing.